Hortus Camdenensis | Abrus precatorius L.
The scarlet and black seeds have been used as beads for Rosaries. 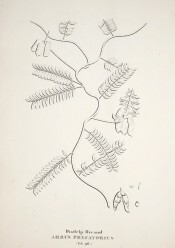 The acrid resins from the roots were used medicinally as a demulcent. The seeds, each weighing one carat, were used for centuries to weigh gold. [EB, Don]. Introduced to Britain in 1680. [PD]. 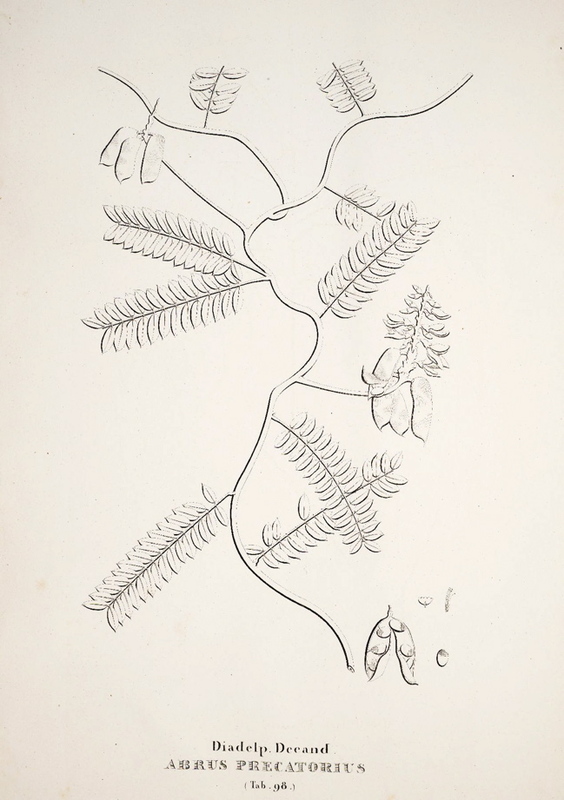 Figured as a line drawing in Flora Fluminensis vol.7 t.98/1827. Listed in the 1850 and 1857 catalogues [T.3/1850].